Sticky, pasty, hard to swallow—if this describes how your mouth feels often, you may be suffering from a common dental condition called xerostomia, or what is commonly referred to as dry mouth. It is the result of a decrease in the volume of saliva produced and present in the mouth. Saliva can be present, but it may be thick, viscous, and even stringy in consistency. Saliva has many purposes and it is an important part of our overall health that is often taken for granted. Saliva helps you taste and digest food. Friction occurs constantly in the mouth, and saliva acts as a lubricant that protects the sensitive tissues from sores and infections. It also protects your teeth and helps neutralize acids in your mouth. Saliva cleans your mouth by loosening and sweeping away food particles and helps prevent tooth decay by controlling bacteria, viruses, and fungi found there. Dry mouth affects approximately 10 percent of the population, and it is more common in women than men. Problems that are often associated with dry mouth include gingivitis, tooth decay, and oral infections. 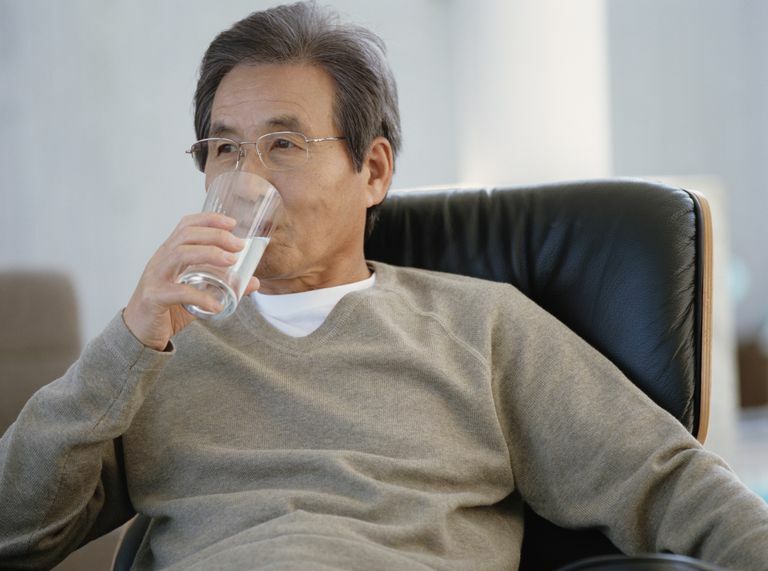 You are also more likely to be affected by dry mouth if you frequently take medications, both prescription and over-the-counter, or are older. Medications used to treat conditions such as high blood pressure, depression, overactive bladder, and Parkinson's disease. More than 400 prescribed and over-the-counter medications list dry mouth as a side effect. Diseases and health conditions such as diabetes, HIV/AIDS, Sjögren’s Syndrome, depression, Parkinson's disease, thyroid disease, and dehydration. There are many reasons why your mouth may be so dry, and your doctor may diagnose the problem as xerostomia, the medical term for a dry mouth. A visit to your dentist or physician will help you understand why you are suffering from a dry mouth and what treatment options are available. If your dry mouth is due to medications, your doctor may be able to adjust your dosage or change your prescription. If it is due to a salivary gland problem, it may be able to be treated with medicine. You might also be able to use artificial saliva. Keeping the mouth moist as much as possible is an immediate treatment for the problem you can do at home. Sipping water regularly throughout the day will help. Sucking on ice chips is also a common way to help with dry mouth. You may also want to use a humidifier at night. Avoid smoking, alcohol, and caffeine when you have dry mouth. Using a mouthwash can be helpful, but only if it does not contain alcohol. Alcohol, which is present in many types of mouthwash, will only dry the mouth further and make the symptoms worse. Lip balms and salves can help relieve dry and cracked lips and the corners of the mouth. You may want to avoid salty foods, acidic juices, and dry foods. Sugar-free chewing gums, sugar-free lemon drops, or lozenges can also help to coax the production of saliva; however, avoid any that contain sugar, as these can promote cavities, especially because your mouth is compromised due to decreased saliva production. Low-sugar diets and excellent oral hygiene are critical for those who suffer dry mouth. Though these do not prevent dry mouth or treat it directly, they will ward against the increased risks of gum disease, tooth decay, and many other oral problems.